Keeping cool in the heat of the triple digit summer temperatures and high humidity is pretty darn difficult. One of the key things that helps our bodies adjust and adapt to physical activity and high heat is sweating. And for us athletes, it seems we spend a lot of time working and perspiring out in those sweltering temperatures. Training outdoors in the heat of the summer can be tricky and downright dangerous. Key is to keep from overheating and avoid dehydration. Read more about that here: “What athletes NEED to know about heat and humidity”. Extreme fatigue from overexertion in a particular muscle. Electrolyte imbalance and/or dehydration, often from sodium loss. The common solution when someone else complains of muscle cramping or a ‘Charlie horse” is to eat a banana. Bananas are known to be fairly high in potassium, and this always seems to be the ‘go-to’ food for cramps. This may or may not help. Another common one is that cramping is due to a loss of magnesium and calcium. Electrolytes are tricky. It isn’t usually one solution for everyone. If you have a better understanding of how electrolytes work, you may have a better idea of how to keep them in the right ratios for your optimal performance. Your body’s electrolytes must be in the correct balance and in the right ratios for the body to function correctly. If you have an excess of one electrolyte, it will throw off the other electrolytes that need to be in the correct balance. For example, an excess of calcium in the diet or in supplements will throw off magnesium levels, meaning that your body will need more magnesium to balance out the calcium. Low magnesium levels can cause cramping and twitching in muscles. Potassium and sodium also must maintain the correct balance, so an excess of potassium will throw off the sodium balance and vice versa. Properly controlled muscle contractions require a very close balance in the interstitial fluid (the fluid surrounding the cells), and an imbalance will lead to excessive muscle contractions, which can manifest as cramping. Trying to ‘fix’ muscle cramping can be tricky, but since cramps are usually attributed to an imbalance of electrolytes, once you can correct the electrolyte issues, you will find relief. Fluids lost through sweat contain mostly sodium and chloride, or salt. Muscles tend to hold on to potassium, calcium and magnesium over salt, so your best bet to cure cramps or fatigue from heat and excessive sweating would be to try to replace the salt first. People lose varying amounts of fluids through sweat, with some folks being very prolific ‘sweaters’, and others who sweat very little. The amount and concentration of salt in sweat varies from person to person as well. Some people are very salty sweaters and others are not. One athlete might only lose a gram or two of sodium during outdoor activity, and another athlete can lose 20 or more grams of sodium. Sodium is an important mineral that works with nerve signaling and enabling movements in the muscles, so losing too much salt will make muscles irritable, and can make you dizzy, foggy headed and tired feeling as well. When you combine a loss of salt and fluids with intense physical effort in the heat, muscles can start contracting uncontrollably, leading to cramping and early fatigue, even bonking. I call it a ‘heat bonk’. Let’s talk for a minute about salt. For many years, we have been told that salt is BAD for us, that it makes our blood pressure go up and that we should avoid it. However that is NOT true. We need salt. And some of us, depending on our diet, lifestyle and other factors need more than others. Probably way more than you’d think. 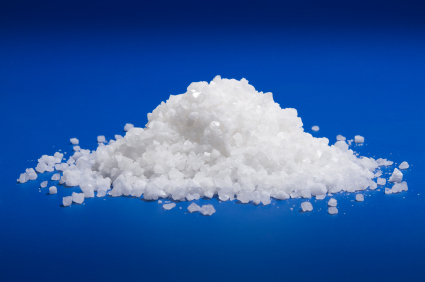 Check out this most recent article in the New York Times on salt consumption and health issues. And, Paleo dieters or those on a lower carb diet lose large amounts of salt and fluids through the more efficient filtering of the kidneys. That’s one of the reasons that people who go on a low carb diet immediately lose a lot of water weight. The kidneys are simply more efficient and process out fluids quicker. That means Paleo and low carb dieters need more salt in general—whether exercising or not. And for those transitioning over to a lower carb diet, salt is very important just for everyday functioning to avoid fatigue and dizziness. For athletes, the need for salt is even more crucial. Without enough salt in the body, blood volume will fall short, and during activity in hot weather, your body will not have enough fluides for sweating or to adequately circulate your blood well enough. In essence, your blood becomes thicker, causing your heart to work even harder to pump this thick stuff through the body. This causes dizziness and intense fatigue, and ultimately cramps and dehydration. Cramping can also be a result of dehydration. That may sound obvious, but you’d be surprised how many athletes don’t drink enough water during the day and during training/competition. You may be shocked at how much water and fluids you need to replace on a hot day! Yes we need salt and electrolytes, but most of what comes out in sweat is just plain water. The sodium-potassium balance is an important factor in cramping for athletes. However, remember that too much sodium can cause cramping as well, so if extra sodium does not help, then add in potassium. Fluids containing sodium and potassium are retained in the body much better than those that don’t. Ever get dehydrated and drink a ton of water to replace the fluids lost and immediately urinate it all out, but still remain thirsty? Well this is because without sodium and potassium, your body will not retain the needed fluids. Electrolyte balance can get complicated, but if you remember it’s a balancing act, then a little educated trial and error will help you maintain the right balance. For salt to be effective it must be added to drinks an hour or so prior to any training or competition, and also during the competition. Too early and it does no good. So next time you venture out in the heat of the summertime, add in a pinch of sea salt to your pre-training drink, and add some into your drinks during the workout as well. Generally about a 1/3 to a half of a teaspoon (give or take) will help replace the sodium lost in sweat. Experiment with this a bit and see how you feel. If the salt doesn’t solve the cramping problem, next add in more potassium. Potassium can be found in abundance in many foods including: potatoes, oranges and orang juice, bananas, avocados, cantelope, kiwi, beans, spinach, any dark green leafy vegetable, tomatoes, asparagus, lettuce and mushrooms to name a few. I am not a huge fan of commercial sports drinks. Generally I think they have way too much sugar or, even worse, corn syrup and citric acid in them, along with artificial colorings and a host of scary chemicals, to even be effective. The citric acid alone has been proven to actually eat away at tooth enamel. And the corn syrup–yuk–don’t get me started! I often make my own sports drink with about half and half water and orange juice (high in potassium), and a pinch of sea salt. For a great instant sodium-potassium replacement, try a V-8. Coconut juice or coconut water is also an excellent electrolyte replacement drink, but remember you still may need extra sodium. My latest drink concoction was half coconut water, half regular water, the juice of half a lemon and a pinch of sea salt. I felt great! If these two electrolytes don’t work, or if you find you are waking up in the middle of the night with ‘charley horses’, you may need to supplement with magnesium. Over 80% of the population is deficient in this mineral and if you are an athlete you are even more likely to be deficient, as some of this is lost in sweat. Besides eating a lot of leafy greens, nuts, and pumpkin seeds, you can take a magnesium supplement before bed to help relax the muscles. Because magnesium takes longer to be absorbed into muscles, supplementing with this mineral should be done several days ahead of any training or competition to be entirely effective. And watch the dose and start out slowly or get a slow, time-release type of magnesium because it can cause diarrhea. Other health issues like diabetes, neurologic or vascular problems can also play a part in getting cramps. And supplements or over the counter medications like sudafed, creatine and caffeine may bring on muscle cramps as well. If cramps suddenly occur without a prior history, check with your doctor to rule out more serious causes. Catherine (Cat) Ebeling RN BSN, is a back-to-basics diet and nutrition specialist. In addition to her advanced degree in nursing from a major medical school, she has spent the last 30 year s researching diet, health and nutrition. 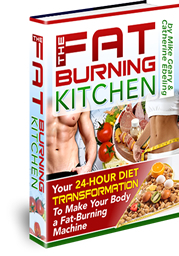 Her book titled “The Fat Burning Kitchen, Your 24 Hour Diet Transformation” has sold over 100,000 copies worldwide, and has helped thousands of people transform their lives, lose weight and improve their health. Bergeron, M., Heat Cramps During Tennis: A Case Report. International Journal of Sport Nutrition 6:62-68, 1996.